Singapore’s Largest Outdoor Carnival for kids is BACK for ONE-DAY only! 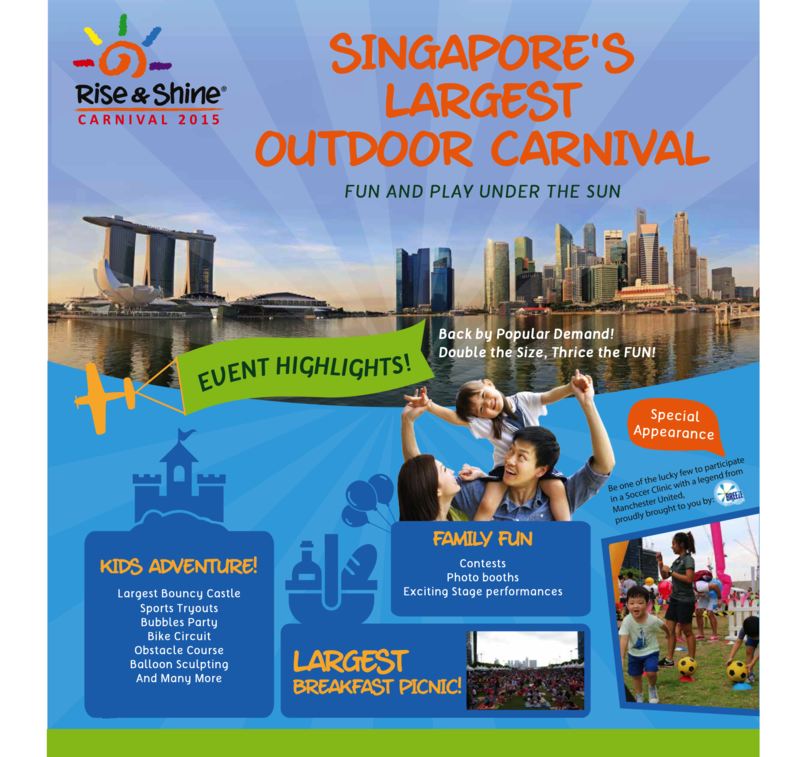 Come picnic and revel with your young ones at families most favourite; Rise & Shine Carnival! Let your little ones be enthralled by our mega fun line-up of activities from gigantic bouncy castles, sports try-outs, kids bubble party, meet & greets and loads more. For the afternoon session, there will be a few stage performances and parents are entitled to 1 picnic mat and 1 play coupon worth $40 with purchase of a couple ticket. Children below 12 years old enters FREE!